Rainforests are of paramount importance for local climatic processes and probably also for the global climate. Large scale deforestation results in decreasing humidity and rainfall which, in turn, decreases agricultural yields. The reduced evaporation and the accelerated draining of rainwater leads to erosion and to water shortages, not only in regions immediately affected by deforestation. This results in a fundamental difference between deforestation in moderate and tropical climates. Furthermore rainforests often grow on very poor soils, which allow only 1-3 years farming every 20 years. 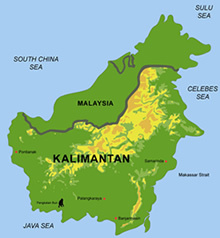 If these forests are removed either by large scale clear cutting or by uncontrolled forest fires, as happened in 1982/83, 1987, 1994, and 1997 in Kalimantan, it will take centuries until a new forest with a similar species diversity as before will regrow. In moderate climates, in contrast, a forest with similar species composition and diversity as before will regenerate within 10-30 years even after clear felling. 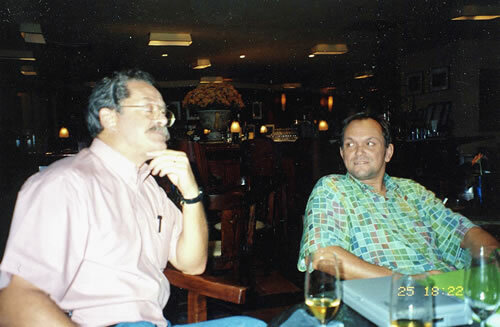 In many areas the exploitation and conversion of tropical rain forest proceeds mostly uncontrolled and with increasing rate. The analysis of changing land use patterns has till now mainly depended on optical satellite images and aerial photos. A major disadvantage of optical images for operational planning and monitoring is the frequent cloud coverage in tropical regions, the all-weather-capacity of SAR is a major advantage for land surface monitoring under these conditions. 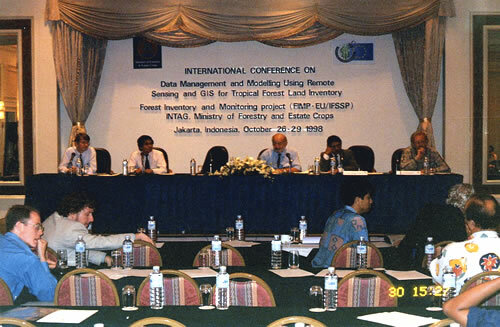 The overall aim of the Kalteng Consultants research programme is to investigate the evolution and the economic potential of the peat swamp forest (PSF) resource in Central Kalimantan by remote sensing techniques. A multi-spectral and multi-temporal image analysis will evaluate the environmental importance and agricultural potential as well as wildlife conservation aspects. The paper includes many Satellite images mainly from LANDSAT and ERS and results with signatures from the Feat Swamp Forest type classification in Central Kalimantan. A part of the paper will touch the Mega ha Rice project. Change detection techniques will be presented for Optical and Radar images.